The rational attitude which permits us to declare objective values as valid at all is not the work of the individual subject, but the product of human history. 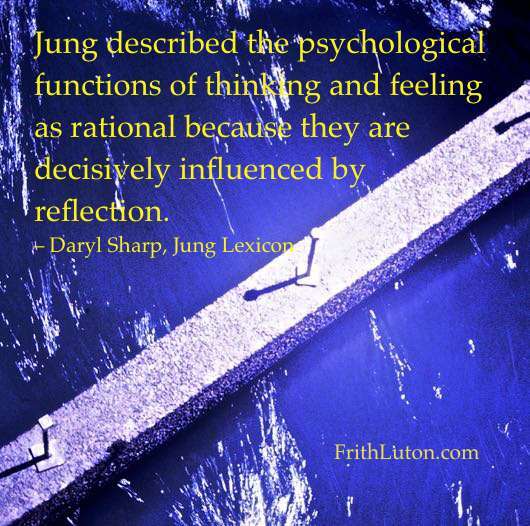 Jung described the psychological functions of thinking and feeling as rational because they are decisively influenced by reflection. Jung pointed out that elementary existential facts fall into this category – for instance, that the earth has a moon, that chlorine is an element or that water freezes at a certain temperature and reaches its greatest density at four degrees centigrade – as does chance. They are irrational not because they are illogical, but because they are beyond reason. 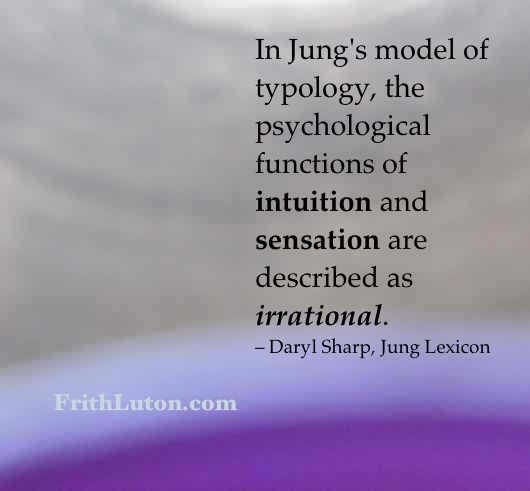 In Jung’s model of typology, the psychological functions of intuition and sensation are described as irrational.